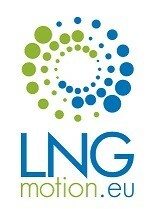 The LNG Motion project, initiated by Axègaz, is included on the proposed funding decision by the European Commission to be awarded with a € 27.8 million grant from the Connecting Europe Facility for Transport (CEF-T). The LNG Motion Action aims to pave the way for a large scale rollout of LNG fuelling stations for truck transport along the TEN-T core network corridors. The LNG Motion project encompasses a study to evaluate the commercial, operational, technical, regulatory and environmental aspects of LNG fuelling in truck transport. In addition, the feasibility of using bio-LNG as a fuel option and a standardised LNG fuelling payment system will be studied. Axègaz will perform a real-life trial in which 42 LNG fuelling stations are constructed across Europe. The stations will be located along the TEN-T core network corridors covering France, Belgium, the Netherlands, Germany, Poland, Spain, Italy, Hungary and Romania. In addition, 200 LNG fuelled trucks will be deployed across the EU to gather data, while 400 more will be invested in, outside of the scope of this Action. Results of these real-life trials will facilitate the large scale rollout of LNG fuelling across Europe after the project period.